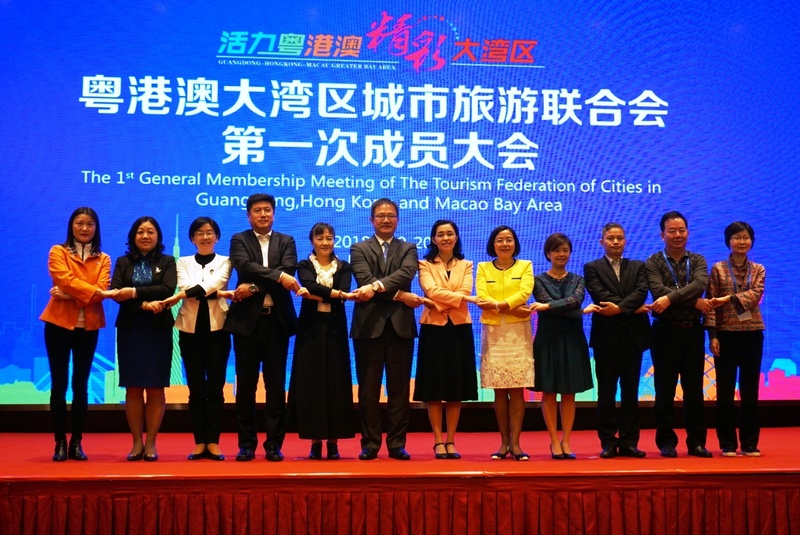 The Tourism Federation of Cities in Guangdong, Hong Kong and Macao Bay Area (referred to as the “Federation”) held its first General Membership Meeting in Guangzhou today (20 April) to confirm an array of major tasks to carry out. The Macao Government Tourism Office (MGTO) will join other members in closer partnership to build the Bay Area into a world-class travel destination. Director General of Tourism Administration of Guangdong Province, Zeng Yingru, Director General of Tourism Administration of Guangzhou Municipality (the first Rotating Chairman entity of the year), Liu Yumei, the Commissioner for Tourism of the Tourism Commission of the Government of the Hong Kong Special Administrative Region, Joe Wong, and Head of Communication and External Relations Department of MGTO, Kathy Iong, attended the meeting together with senior tourism officials of the nine Guangdong cities namely Guangzhou, Shenzhen, Zhuhai, Foshan, Huizhou, Dongguan, Zhongshan, Jiangmen and Zhaoqing. The parties each reported their work progress and raised suggestions regarding their participation in the Guangdong-Hong Kong-Macao Bay Area tourism development and concerted efforts to foster tourism development in Guangdong, Hong Kong and Macao. 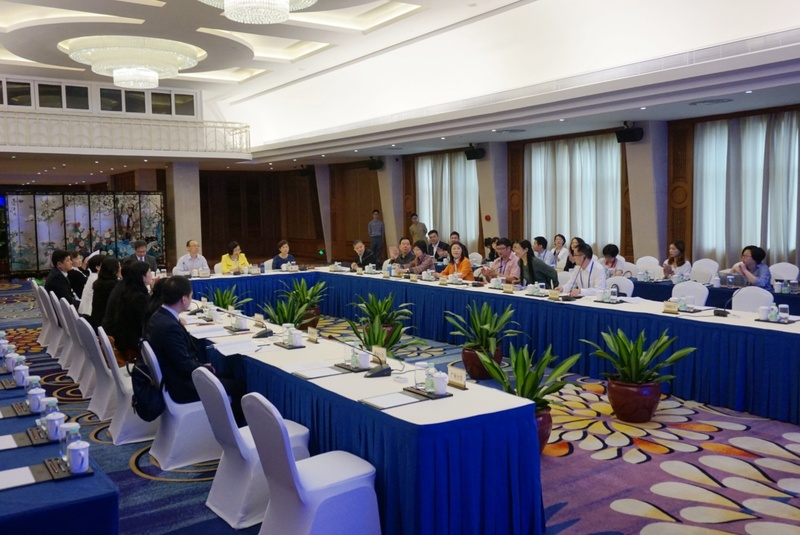 The first Rotating Chairman entity of the year, the Tourism Administration of Guangzhou Municipality, raised a number of major tasks for discussion during the meeting. The member entities reached a consensus to push forward major tasks as follows: organize tourism presentation seminars, design and produce promotional materials, deepen tourism cooperation and tap into the potential brought by related polices. The Federation seeks to support each member destination to unleash their own characteristics and advantages, deepen interchange and widen collaboration, as well as refine the collaborative scheme for tourism integration. The core mission is to build a quality living circle ideal for travel and inhabitation and forge the Bay Area into a world-class travel destination. This year, MGTO will engage in and push forward the following key initiatives to foster tourism development in the Guangdong-Hong Kong-Macao Bay Area: organize tourism presentation seminars about the Bay Area, carry out strategic promotions, produce a travelogue about the three places, set up joint booths at major travel fairs, arrange familiarization visits and promote multi-destination tourism products offered by the Bay Area, among others. The Office will also leverage various platforms for high-level exchange and cooperation to drive new tourism progress in the Bay Area. Following the Articles and Agreement of the Tourism Federation of Cities in Guangdong, Hong Kong and Macao Bay Area, MGTO will be keenly committed and supportive to the work of the Federation. Upholding the principle of “concerted development, joint branding and market sharing”, the Office will work closely with other member entities to jointly build a world-class travel destination. Initiated by Tourism Administration of Guangdong Province, Tourism Commission of the Government of the Hong Kong Special Administrative Region and Macao Government Tourism Office, the Tourism Federation of Cities in Guangdong, Hong Kong and Macao Bay Area was established in December 2017. The Federation consists of the tourism bodies of the nine cities of Guangdong Province – Guangzhou, Shenzhen, Zhuhai, Foshan, Huizhou, Dongguan, Zhongshan, Jiangmen and Zhaoqing – as well as the two Special Administrative Regions, Hong Kong and Macao. The Secretariat of the Federation is set up at Tourism Administration of Guangdong Province.